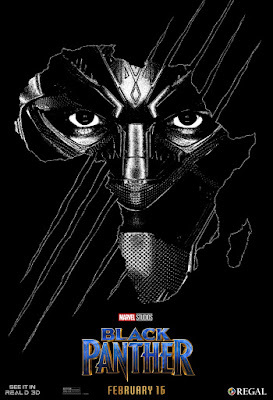 The awesome Black Panther one sheet movie posters just keep on coming! 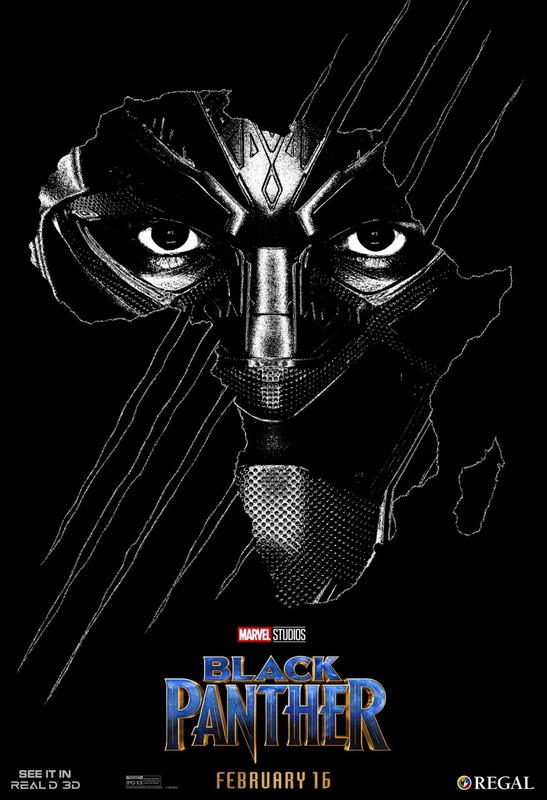 Check out Marvel’s stunning new Regal Real D 3D Black Panther movie poster. Even this simple all black design featuring the Black Panther’s mask peeking through the outline of the African continent comes across with such power! I love how Marvel is not shying away from Black Panther’s African roots, and is truly embracing the fictional country of Wakanda. It’s so much of who T'Challa, and it makes The Blot happy to see that Marvel really gets how important a super hero film like this can be – especially with how divisive the United States is now in so many ways.